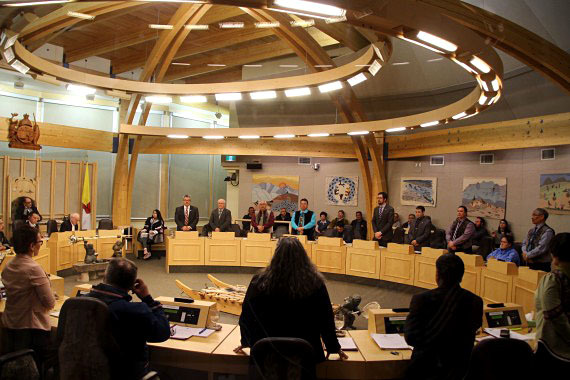 More than six weeks have passed since an overwhelming majority of MLAs, including nearly all the cabinet ministers, voted to remove Aggu MLA Paul Quassa from the Nunavut premiership. Though MLAs used a power that’s been built into the territorial legislature from the very beginning, it was still an unprecedented act. Does this mean Nunavut residents have something to worry about? Not at all. Nunavut MLAs demonstrated this past June their non-partisan Nunavut legislature is glowing with health. They’ve also shown us that a younger generation of MLAs—educated in finance, business administration and the principles of democratic government—have emerged to offer a mature form of political representation we’ve seen all too rarely in the past. 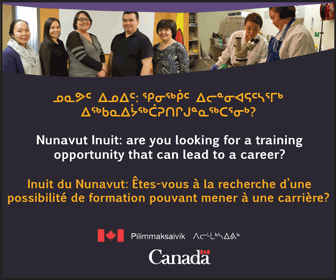 For Nunavut, this is all good news. For Quassa and his social media fan base, his removal should serve as an overdue reminder that it’s not 1993 anymore. And it’s highly unlikely that Nunavummiut have ever wanted a premier who believes he can bark out orders like a modern version of an old-fashioned patriarchal camp boss, and it’s highly unlikely that they’ve ever wanted a premier who rules by decree like some third-rate dictator. 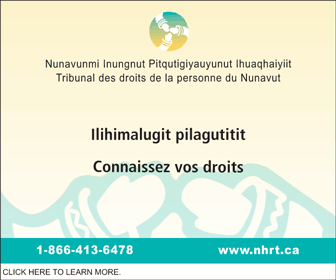 By long-standing convention, Nunavut premiers must work within a collegial system in which important policy decisions are made collectively, by cabinet, and in consultation with the legislature, the civil service, affected interest groups and regular people like you. Yes, Quassa’s defenders have portrayed him as a champion of the Inuit language and a champion of increasing Inuit employment in government. Those are worthy causes. That’s why every Nunavut government since 1999 has also championed them. But it’s highly unlikely that Quassa could ever have accomplished anything substantial in those areas, due to his demonstrated unfitness for the premier’s office and his failure to understand the obligations that come with the position. The public record is stuffed with evidence to support this judgment. First, it’s clear that MLAs and cabinet ministers no longer had faith in Quassa’s ability to tell the truth. This was exposed through a demonstrably false statement that Quassa gave in the legislature concerning cabinet’s participation this past February at the Northern Lights trade show in Ottawa. According to figures dug up by CBC Iqaluit, that event—attended by all cabinet ministers and their respective entourages—cost the Government of Nunavut nearly $600,000. On May 25, John Main, the MLA for Arviat North-Whale Cove, asked Quassa if the attendance of all cabinet ministers at that gathering was mandatory—a decision that would have inflated the GN’s costs. But on June 11, a succession of six MLAs established that Quassa’s May 25 statement was a big, whopping nose-stretcher. Each MLA asked each of the six ministers in the house that day if they had been “directed” to attend Northern Lights. In government-speak, if you’re “directed” to do something, it’s mandatory. And the only official with the power to “direct” a cabinet minister is the premier. Compared with the GN’s $2-billion annual budget, the cost of its attendance at Northern Lights represents a tiny chunk of pocket change. Though excessive, it’s not big enough to jeopardize the government’s financial position or important enough on its own to bring down a premier. But by making a false statement about it, Quassa hastened his political demise. Then there’s the arbitrary, erratic decision-making that some MLAs cited on the day they ousted him. On or about June 11, unbeknownst to MLAs and the public, ex-premier Paul Okalik, an old crony of Quassa dating back to the 1980s, started work as Nunavut’s chief devolution negotiator, replacing Nunavut’s long-standing devolution negotiator, Simon Awa. Hudson Bay MLA Alan Rumbolt managed to pry that information from Quassa during a committee of the whole sitting held June 12. It’s clear MLAs were rather less than pleased with that arbitrary, unannounced appointment, because by June 19, the new premier, Joe Savikataaq, had put the kibosh on it. He removed Okalik and reinstated Awa. Finally, there’s Quassa’s autocratic approach to leadership. On that point, Quassa, as reported by CBC Nunavut on June 15, convicts himself with his own words. Whatever the leader says is “the only way to do it?” That’s a repugnant idea, a clear expression of authoritarianism. Through his own words, Quassa reveals he’s unfit to hold public office within a democratic society that values consultation and consensus, as well as diversity and pluralism. The simple-minded valorization of strongman leaders is gaining ground around the world. So the people of Nunavut should be grateful their MLAs wasted no time in putting a stop to that tendency when it emerged in the person of Paul Quassa.